Art Works Now’s mission is to create a stronger community through the arts. They achieve this with affordable, content rich art classes and projects. Their core value of social justice is activated through the content of our programming, our commitment to reducing economic barriers to art education, and the long-term, accountable relationships we nurture with our community. 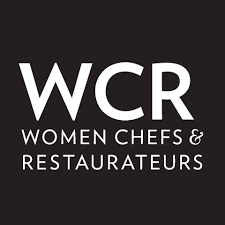 The mission of WCR is to advance women across the culinary industry through education, connection, promotion, and inspiration.Founded in 1993 by eight of the nation’s top women chefs and restaurateurs, WCR celebrates its 25th Anniversary with a current membership of thousands of women, offering a variety of opportunities for professional development, advocacy and mentorship. The mission of Bread for the City is to help Washington, DC residents living with low income to develop their power to determine the future of their own communities. They provide food, clothing, medical care, and legal and social services to reduce the burden of poverty. Martha’s Table believes that every child deserves the opportunity for their brightest future and a deeply engaged family and community committed to their success. 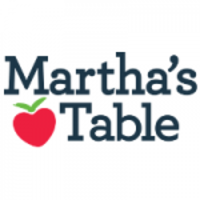 For nearly 40 years, Martha’s Table has worked to support strong children, strong families, and strong communities by increasing access to quality education programs, healthy food, and family supports.